Banning Eyre is a multi-faceted creative artist, including his roles as author, guitarist, and senior editor and producer of the syndicated public radio program AfroPop Worldwide. His latest book is Lion Songs: Thomas Mapfumo and the Music that Made Zimbabwe—focused on an African cultural icon who is now in exile, and a resident of Eugene. Banning Eyre will host a multi-media presentation and performance at Tsunami Books in Eugene this evening, June 26th, sponsored by the Kutsinhira Cultural Arts Center, and also appear at Angeline's Bakery in Sisters on Sunday morning, June 28th. He visited the KLCC studios to share music and conversation. Interview and performance from Banning Eyre, including music from Thomas Mapfumo. 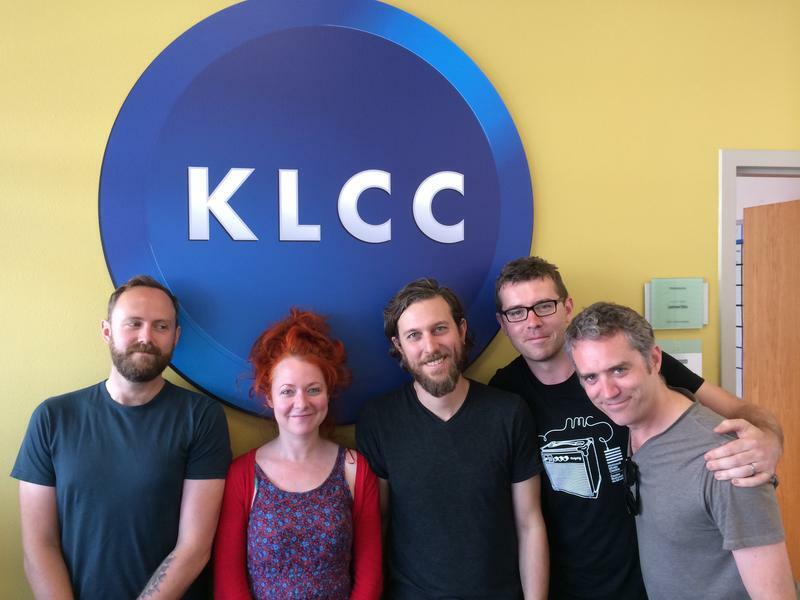 The band Great Lake Swimmers is a Canadian quintet led by songwriter Tony Dekker, who've gained acclaim for their melodic folk rock, including a nomination for a Juno award. Their newest release, A Forest of Arms, was recorded in part in a cave in Canada. 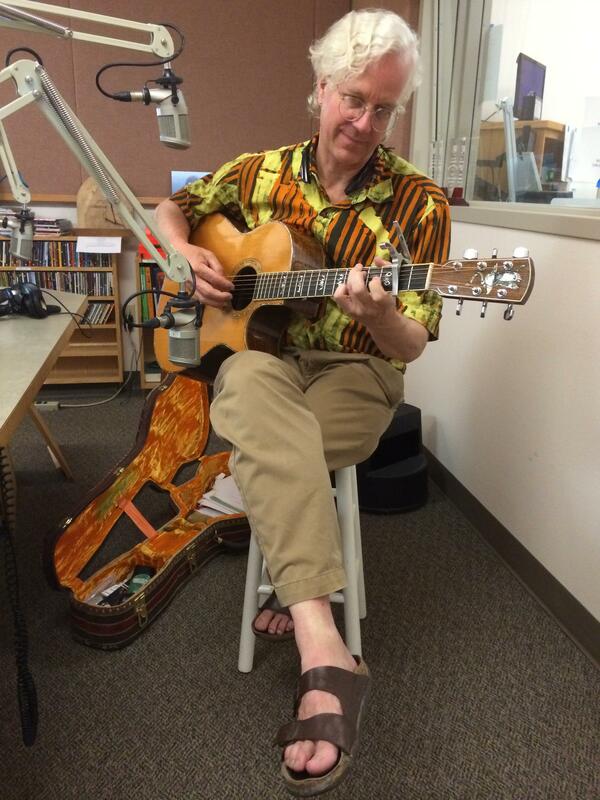 Before performing at Cozmic in Eugene on Monday, June 8th, they visited the KLCC studios for songs and conversation. Tony Furtado brings new songs, and his mastery of slide guitar and banjo to a house concert in Eugene tonight, May 15th, where he'll joined by bassist Sam Howard. Tony is celebrating the release of his seventeenth album, The Bell. 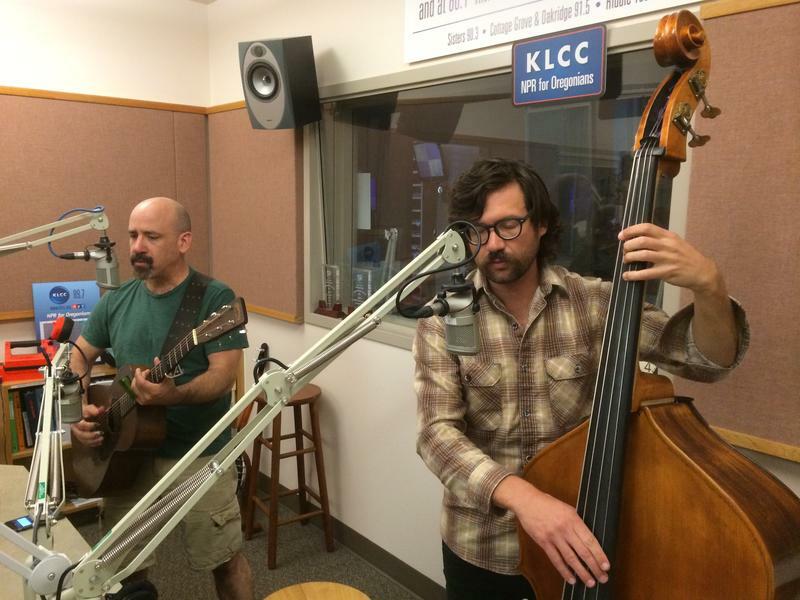 Tony Furtado and Sam Howard visited the KLCC studios for songs and conversation.